Insurance | Eastern Long Island, NY | Joseph F. Sciotto D.M.D. 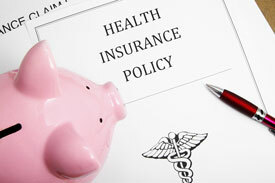 Dental Insurance at Joseph F. Sciotto D.M.D. We’ll work with you to determine what your coverage will help with, so you know ahead of time what your out-of-pocket expense will be (if any). Pre-check. We’ll ask for some basic questions before your appointment to confirm your coverage so you know what to expect. Here to help. We’ll do all that we can to make filing insurance as easy as possible!